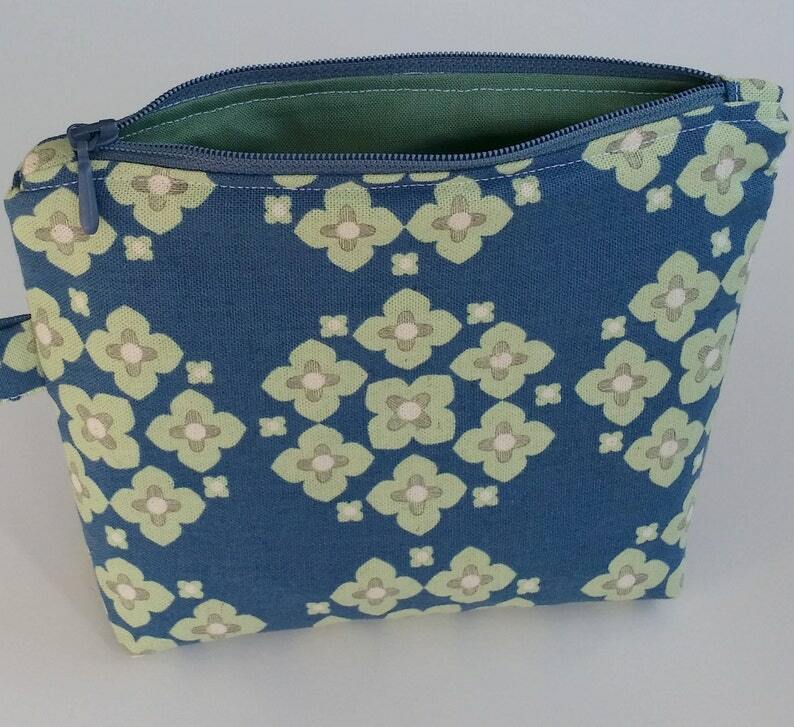 Never feel disorganized again with this flat bottom make up bag with floral print. You can take it with you to carry cosmetic essentials or pens and pencils. Just store all those little things that always seem to fall in the bottom of your bag in it. This zippered pouch is (hand)made of a designer fabric and fully lined with a matching fabric. It also has an internal pocket. A layer of cotton interfacing is padded in between for softness and durability. The size of the bag is 6.7"x 7.0" (17,5 x 16,5 cm) & bottom 1.5" (4 cm). All products are made with love and an eye for quality and detail. Thank you for looking. Very pretty, fragrant eye pillow, daintily hand packed. After receiving my first order, I was so delighted I immediately ordered two more. They are a perfect gift for a birthday, or to comfort someone. I printed off the instructions for use, to go with the pillow. I particularly liked the removable cover for laundering. My orders arrived very promptly. Thank you ! Very well made and quick shipping! Super Sweet coin purse, with matching pouch! Absolutely love this material, color & print... (not found so easily here in the U.S.) plus, nice size to fit all sorts of treasures :) I liked the seller's unique fabrics so much, added an eye pillow and a different pouch for good measure! Silvana gets 5-stars, too, for being an ever-so-nice all-around person, and for being so helpful with the shipping!! !